This year the National Science Week included a Sir Charles Todd symposium. Now you may be thinking, what has Charles Todd got to do with science, particular science of today. Wasn't he that bloke that put up those telegraph poles between Adelaide and Darwin 100 plus years ago? And Yes, you are correct. It's unfortunate that while the Overland Telegraph Line was a technological feat of its time (1872), it over shadowed Sir Charles Todd's other achievement which in their own right are each significant. More so, his legacy which is continuing to assist scientist answer many of todays questions around global climate change. In terms of current technology, as one speaker at the symposium put it, "Sir Charles should be credited with the first mobile communication device and SMS messaging as he carried around a pocket Morse code key to connected to any telegraph-line to communicate around the globe". That last one is stretching it a bit! The symposium grew from an idea of the Todd family descendants to celebrating the 140th anniversary of the Overland Telegraph Line completion. It appears that the Wether Bureau was asked to brief the family on the meteorological works of Sir Charles Todd. On reflection, Mac Benoy a volunteer for the Bureau of Meteorology claimed that "Sir Charles meteorological contribution was a result of his breadth of involvement in other fields including surveying, electrical, engineering, telegraphy, post and astronomy". To provide completeness it would require others to showcase Sir Charles works. So the symposium was formed. The symposium was held at the Urrbrae Waite Science Campus on the 18th of August 2012. It was attended by some 200 attendees along with a number of the Todd family decedents. The event was hosted by Dr Rob Morrison along with six speakers to honored the legacy of Sir Charles Todd in their respective professions along with a biographer who spoke of Sir Charles Todd the man and his social perspectives. The delivery was excellent and provided a rounded appreciation of the man that contributed so much to Australia but also the world of science. Rob Linn delivered an interesting account of early colonial days, with its poor living standards and high prosperity from discoveries of vast minerals, exports of wool and livestock. It was the time that agricultural businesses like Elders, Stirling & Co gained great wealth. Immigration was on the increase to fill new jobs and the standard of living and accommodation was on the increase. South Australia was also given the right of self-government with Charles and Alice Todd arriving at a time of great change. Robert Jenkins, president of the Astronomical Society of SA talked about Todd's early beginnings as an astronomer and his appointment to the Greenwich Observatory, later holding the position of Superintendent in 1854. Todd was recommended to hold the Superintendent of Telegraphs and Government Astronomer in South Australia. Charles and his new wife, Alice, took the posting, arriving in Adelaide in 1955. Robert continued to point out many of Todd amazing discoveries including the sighting of a new comet and during a transit of Venus in 1874 noted the evidence to support Venus had an atmosphere. Todd was responsible for the upgrade of the Semaphore signaling station which ships relied upon for navigation along with the establishment of the Adelaide Observatory. 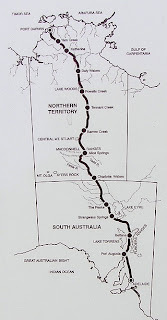 Professor Reg Coutts of the Telecommunication Special Interest Group showed that Charles Todd is still very relevant today by drawing parallels between the then debates of the Overland Telegraph Line linking Australia, Asia and Europe to that of the debates around the National Boardband Network (NBN). Reg explained how the 1850's was a time that utilities such as gas, electricity, water let alone telecommunication were still futuristic. 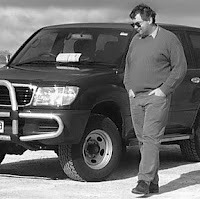 Then came Todd, with the vision, drive and leadership to build one of the greatest engineering achievements of the nineteenth century, the Overland Telegraph Line. Richard Venus offered his views on Charles Todd's as the government electrician. As early as 1856, Todd was investigating electric lighting and power generation while the small town of Adelaide was coming to terms with gas lighting. Todd later made a Duboscq light and in a public display lit up a large area of Adelaide. Todd was very much involved in the creation of Australia's first central power station and the use of electric transport in Adelaide. His involvement lead to drawing up the technical standards and regulations for power distribution throughout Australia. 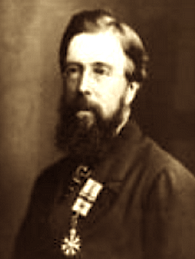 Martin Walker is a respected postal historian and covered Charles Todd life as Postmaster-General and Superintendent of Telegraphs. Todd was appointed in 1870 with a role proving challenging as the demands on postal business had grown considerably. Todd reformed the post office with better conditions which accorded him an astonishing degree of respect from his staff. He also amalgamated the postal and telegraph departments. Denis Cryle is a biographer and focused his presentation on Charles Todd as the man and manager. Denis painted the picture of Charles the husband and father during his months of absences while overseeing the Overland Telegraph Line and how he maintained contact with Alice and his family. More-so how his family pulled together to monitor the telegraph progress, maintain the Observatory, recorded Todd's own meteorological measurements and manage their financial affairs. When the Overland Telegraph Line might well have become a tragic defeat at times, Todd got on with the job and drove the vision to acclaimed success. Mac Benoy a volunteer for the Australian Meteorological Association provided an enlightening view of Todd's Meteorology insights and his legacy of observation data from more then 100 years ago. Mac explained the further you can look back the further science can look forward. At the time, weather reporting was localized observations taking weeks to collate serving little benefit. Todd went to work using all of his other skills to bring a new age of scientific reporting for the average person to understand. Todd established a remarkable network of weather observers, using defined standards, calibrated instrumentation and access to the telegraph to send daily weather reports. 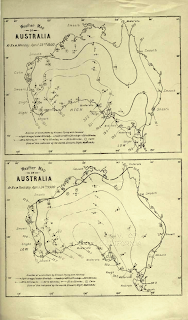 In 1888 Todd issued for the first time a weather forecast and to best illustrate used a sequence of Synoptic charts. (See below) Video tells the story of Todd's records. John Porter / Andrew Jones from the Surveying and Spatial Sciences Institute covered a time when the state of NSW was far more extensive then today and the adventures of correctly defined the boarder lines. 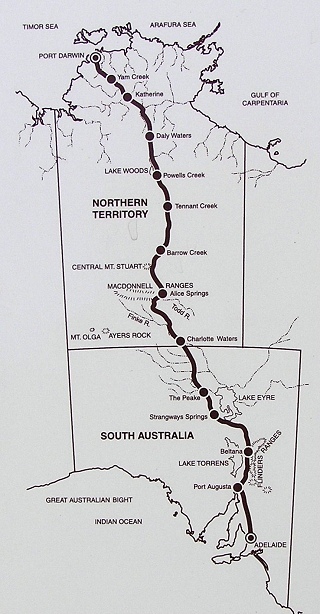 In 1867 Surveyor-General Goyder approached Todd to assist with the fixing of Longitude that defined the board of SA & VIC / NSW and in 1870 Todd mark out the SA & WA board. Todd used an accurate time signal through the interstate telegraph line along with his astronomy knowledge and surveying skills to correctly plot the boarders. Todd also held the position of President of the Association of Surveyors for many years. 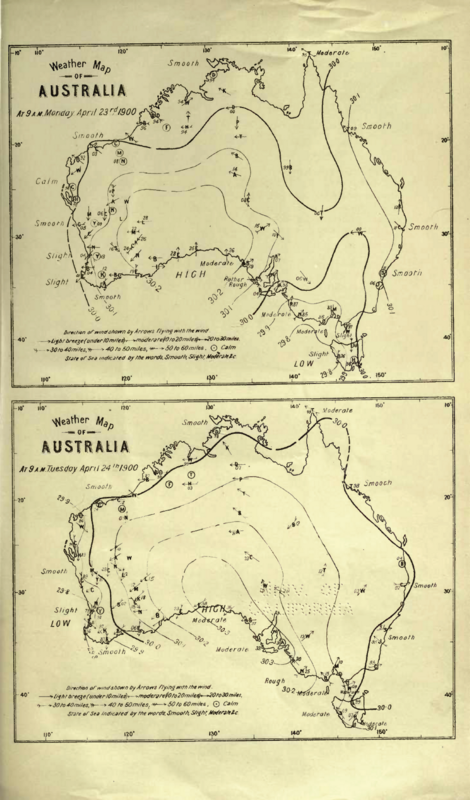 The achievements of Sir Charles Todd for me was summed up from this 1900 weather chart thats pulls together weather data from various locations for one particular moment in time across Australia. Todd used the telegraph repeater stations and other observation locations to telegraph accurate weather readings and observations back to the Bureau of Meteorology in Adelaide. Collecting and mapping readings daily changed the way Australians looked at forecasting weather. While Todd did not invent this type of weather charting, it was the scale of the charting include Australian and New Zealand that was remarkable. This achievement was not matched for many decades anywhere in the world. Todd and his team even collected weather log from ships once they docked. This provided further understanding of the weather offshore. Sir Charles Todd is truly a remarkable man, technically capability but possessing the insight and passion to bring together a number of landmark achievements of the order that continue today. "Considering Todd's contribution and service to the state of South Australia I would have expected that a Todd collection would be on public display showing his works and to recognize Sir Charles Todd's achievement." The Eucla Telegraph Station near the boarder of SA / WA was an unique telegraph station as it occupied equal telegraphist staff from WA and SA. The telegraphist worked within their respective states as the boarder was known then. Telegrams would be received by either side and hand written out and then pass through an opening in the partition that divided the states to the corresponding states telegraphists to resend. It appears that different versions of morse code was used in the West to that of the Eastern states. On further research, it appears that the Victorian government engaged the services of Samuel McGowan an associate of Samuel Morse with a extensive knowledge of Morse Code. This became know as Victorian Code. However, at the time Perth was establishing its telegraph network the International Morse Code (ITU) was in wide use outside of the USA and so Western Australia government used the International version. On federation in 1901, the partition was ceremoniously removed and ITU became the standard. Charles Todd, in 1893, suggested that droughts in India and Australia tended to occur at the same time which was in later years confirmed by other observers and called the Southern Oscillation. Todd has been credited with discovering the El Nino effect. This discovery enabled more accuracy forecast method to be used today. Todd served the South Australian government for 50 years and his service was so valued that the parliament chose not to pass a Bill for compulsory retirement at 70 until after Todd had chosen to retire. You can even leave a comment to this BLOG which I am sure will be read by others researching the life of Sir Charles Todd.